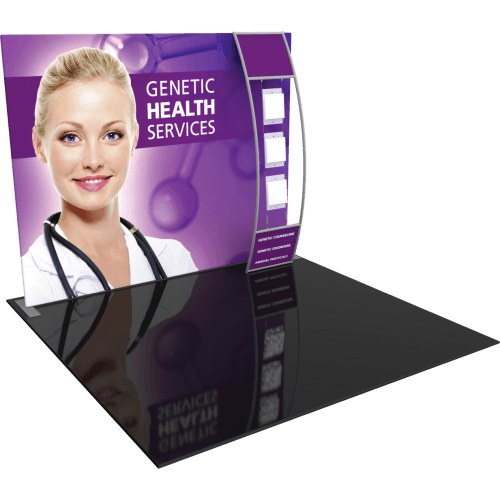 The Formulate® S5 Straight 10ft Fabric Display is a sophisticated, straight shaped exhibit that combines state-of-the-art zipper pillowcase fabric graphics with advanced lightweight aluminum tube frames to provide unique design, functionality, and style. 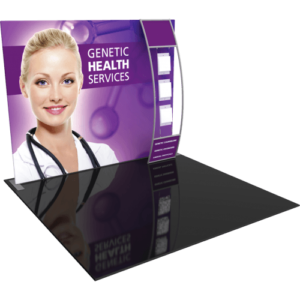 The S5 Straight Formulate display comes an accent ladder that features three suspended literature pockets. Stretch fabric graphics are hand-sewn, durable and dry-cleanable.